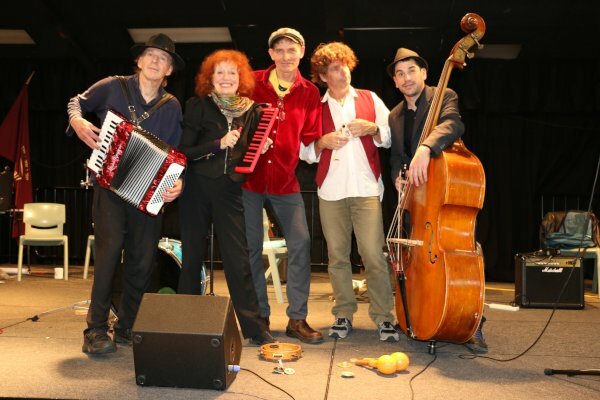 They first appeared on the Auckland scene in 1994 playing at Gerhard’s Cafe, Grey Lynn, where they became a local sensation and where they recorded a live album with their own unique arrangements of the traditional klezmer tunes taught them by band-leader, Jewish New Yorker Hershal Herscher. Their first national NZ tour took place in 1997 and since then they’ve added a whole heap of original material to their repertoire, recorded five more albums and played the world over – from the Faroe Islands to Southern Spain to Chicago to London – featuring at the 20th Anniversary of the ‘mother’ WOMAD in Reading, UK and the famed North Sea Jazz Festival, as well as folk, jazz and world music festivals throughout Australasia. 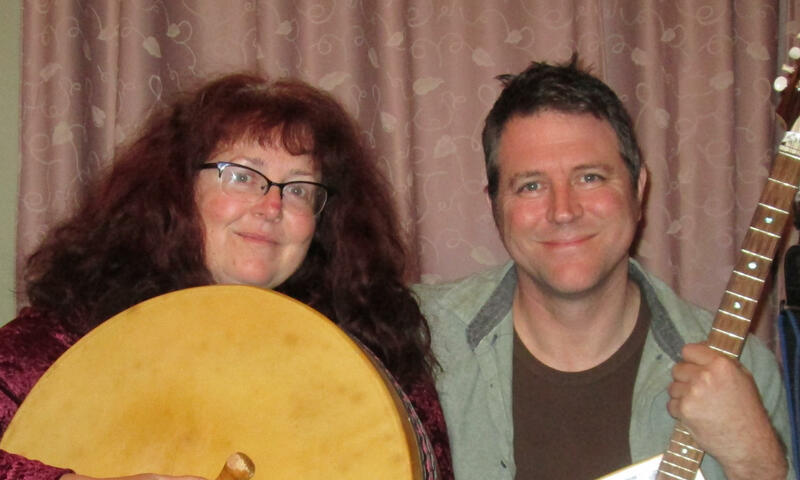 been migrated into, or very close to, the Bluegrass Genre. 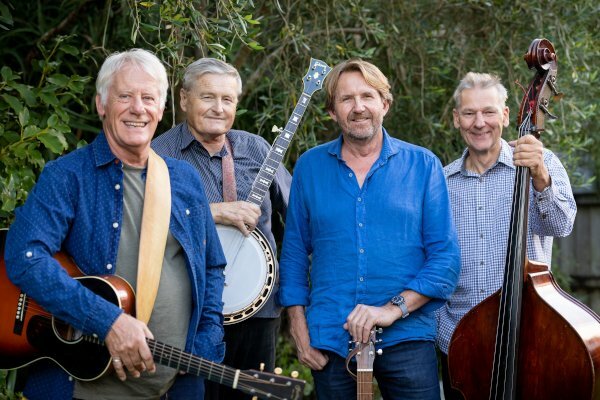 Four of Auckland’s top musical virtuosi, first rate vocals, tight harmonies and genuine toe-tapping music all contribute to their exciting performances which have been delighting audiences over the past few years. Pete Parnham on bass fiddle. Watch this space – more info to come.